In the high reaches of Colorado, summer is short, giving wildflowers just a brief season to show off their glory. Peak viewing is typically June and July, when Colorado’s high country explodes with a riot of color. Some years, the wildflowers are a little late out of the gate, with winter reluctant to release its grip. But as soon as the snow starts melting fast, the buds that have been patiently biding their time in alpine meadows are ready to pop. 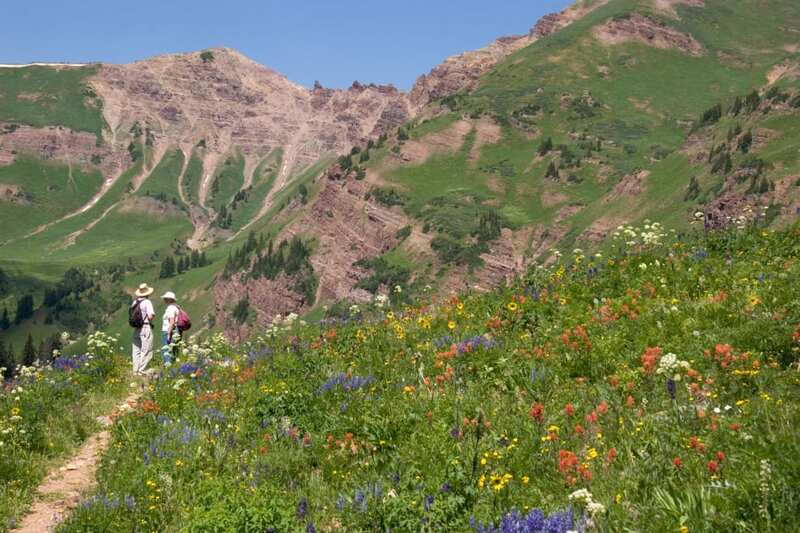 Here are six amazing wildflower hikes in Colorado that will make your spirit soar. West of Nederland, the Indian Peaks jut dramatically skyward, topping out with a string of summits along the Continental Divide. It’s the quickest shot to high alpine wilderness from Boulder. The Hessie Trailhead is a great place to start, with trails leading to a variety of lakes (you really can’t go wrong with any of them). 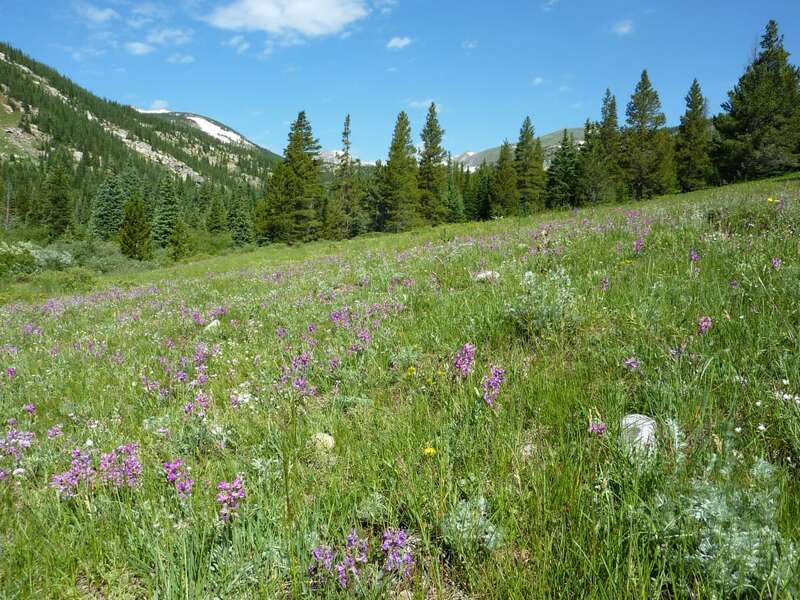 To maximize your wildflower mission, take the Devils Thumb Trail to the Devils Thumb Bypass Trail, which emerges from the trees into a beautiful meadow full of flowers. You’ll be so entranced, you might forget to look up and take in the Continental Divide views. To get to the Hesse Trailhead, head south from Nederland on Highway 72, then turn west on County Road 130. Drive through the town of Eldora and continue for ¾ mile after the pavement ends. You can park along the road, or take the left fork to drive all the way to the trailhead (through a river—4WD needed). Note this trailhead is very crowded on weekends. Avoid the hassle of finding a parking spot by taking the free shuttle from the Nederland Park-n-Ride. And remember, you’re heading into wilderness, so bring a leash for your pooch. The East Inlet Trail dips into Rocky Mountain National Park from the quieter west side, on the edge of the town of Grand Lake. Start from the East Portal Trailhead. After 1/3 mile, take the short side spur to Adams Falls, a beautiful 55-foot cascade where you might be tempted to linger. But keep going up the East Inlet Trail because in 1/2 mile you’ll reach a large meadow that will be ablaze with a wide variety of blooms. Keep your eyes peeled and you might even spot a moose meandering along the edge. Drink in the views and decide whether you want to keep going all the way to Lone Pine Lake, a hefty 5.5-mile hike (one way) that climbs 1,494 feet. Grand Lake is on the west side of Rocky Mountain National Park. Take the scenic route over Trail Ridge Road through the park, or drive I-70 west to US 40 to US 34. It’s the same driving time either way if you’re leaving from Boulder (about 2 ¼ hours). From Denver, the I-70 route is almost an hour faster (but not nearly as pretty). Once in Grand Lake, drive 2.5 miles west on W. Portal Road to get the trailhead. As the Wildflower Capital of Colorado, Crested Butte has every right to be smug. The hillsides and meadows surrounding this town put on an amazing show—slopes dotted with mule’s ear as far as the eye can see, lovely lupines pointing their purple spikes skyward, and giant fields of fireweed. Trail 403 is a great place to take it all in. 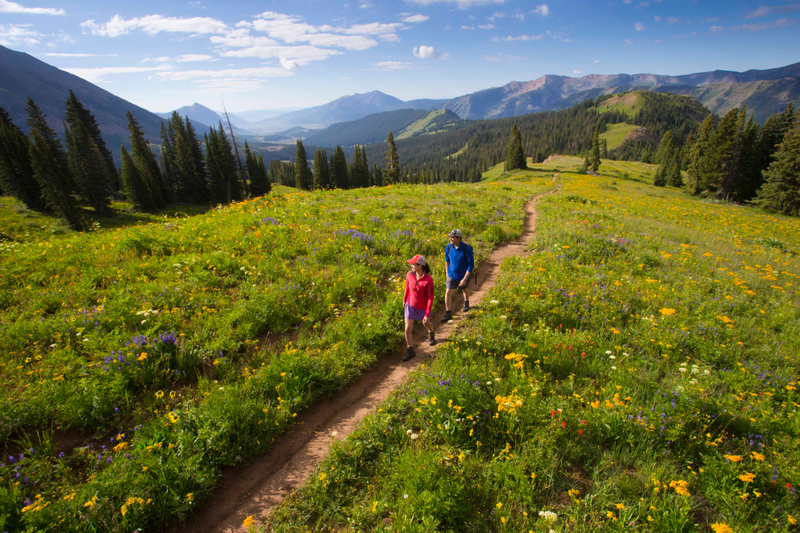 One hiker said, “I have never seen so many wildflowers or the many different varieties—all in one location.” The 4-mile trail, which connects Washington Gulch to Gothic and climbs up over 11,300 feet also offers jaw-dropping views of the Elk Mountains to the north. To get there from Crested Butte, drive 7 ¾ miles up Washington Gulch Road to the Washington Gulch Trailhead. Do it as an out-and-back hike (you can choose to go all the way, or turn around at the high point, which is a great overlook), or shuttle a car to the other side in Gothic. 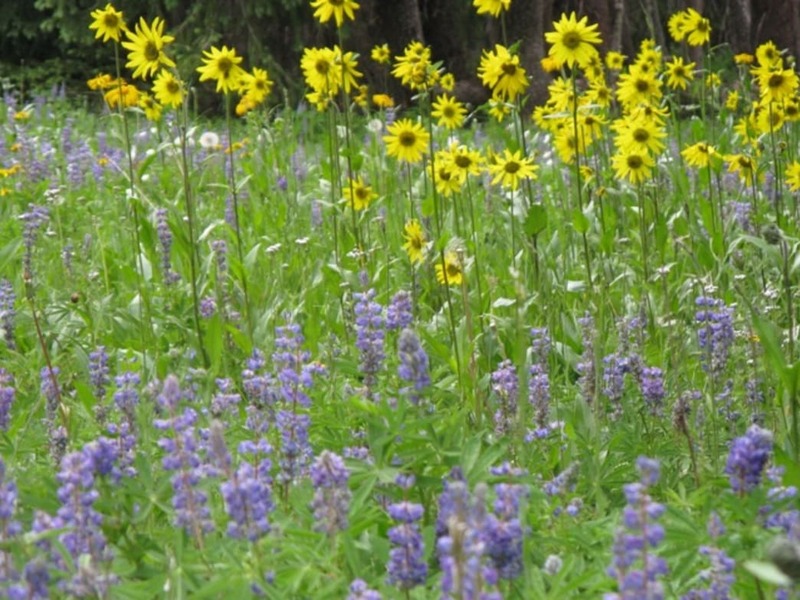 Consider timing your visit with the Crested Butte Wildflower Festival. The Mount Zirkel Wilderness is a remote pocket of Colorado, a little more than an hour north of Steamboat. The 7-mile round-trip hike to Three Island Lake follows the south fork of the Elk River, with the rushing creek to keep you company as you climb through aspen groves and pass through meadows dotted with all the colors of the rainbow. Challenge yourself to count how many different kinds of wildflowers you see along the way. And remember to pause periodically to take in the views. 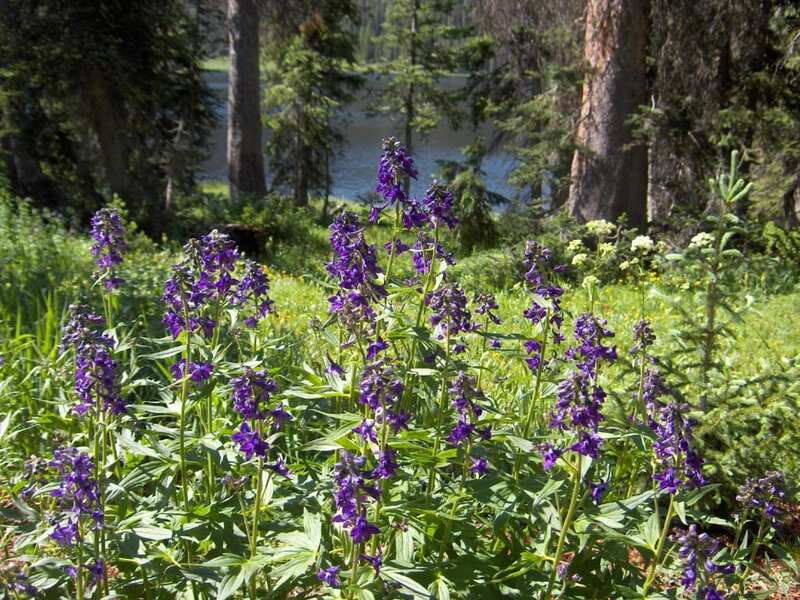 Once you reach the lake, nestle in among the purple larkspur and enjoy a picnic in the company of craggy peaks. To get to the Three Island Lake Trailhead, drive north out of Steamboat on CO 129 to Seedhouse Road (about 20 miles). Then take Seedhouse Road to Forest Road 400 to Forest Road 443. Hike along Trail 1163. 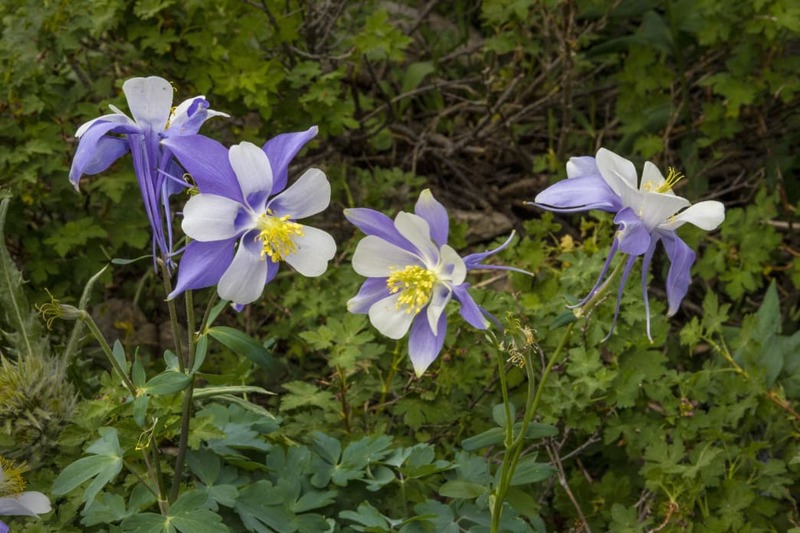 With names like Lupine and Columbine, the streets of East Vail hint of what’s to come along the Bighorn Creek Trail , which climbs steeply out of the Vail Valley for ½ mile before leveling off a bit. Flowers dot the hillside the whole way, then erupt in colorful meadows, where openings in the trees let in light to fuel the visual feast and also offer glimpses of the toothy ridges of the Gore Range. The trail ends after 3¼ miles at Bighorn Cabin, an old homestead where you can rest for a spell. To access the trailhead, take I-70 to Exit 180 in East Vail, then follow the South Frontage Road for one mile. Turn left on Columbine Drive, pass under the highway, and park at the end of the road. And now, drum roll please: We saved the best for last. Ask Google Maps how to get from Aspen to Crested Butte, and you might be shocked to learn that it’s a 3.5-hour drive and more than 100 miles, despite these two towns being just 24 miles apart as the crow flies. So why not hoof it? 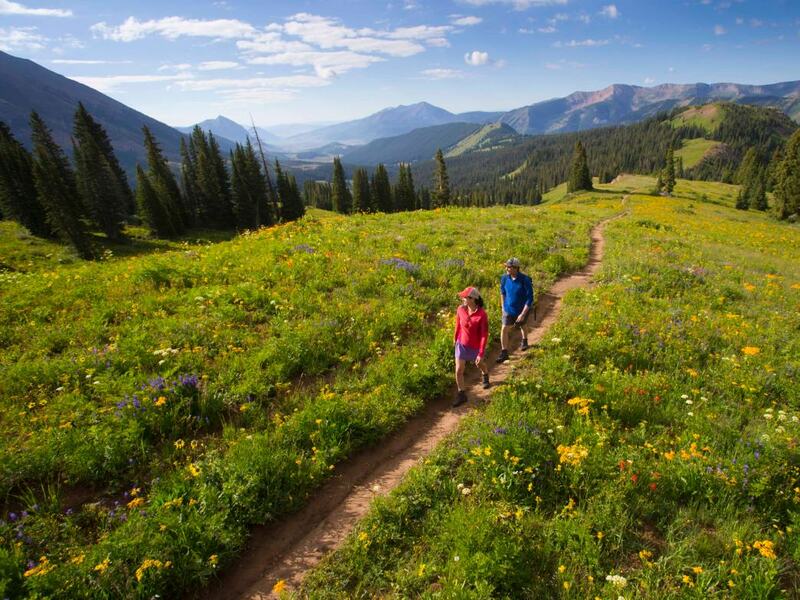 The 11-mile trail over West Maroon Pass could be the best wildflower hike in Colorado. It takes the better part of a day, so plan on spending the night on the other side. Dolly’s Mountain Shuttle will drive you from the trail’s end in Gothic to Crested Butte, and then bring you back the next day. 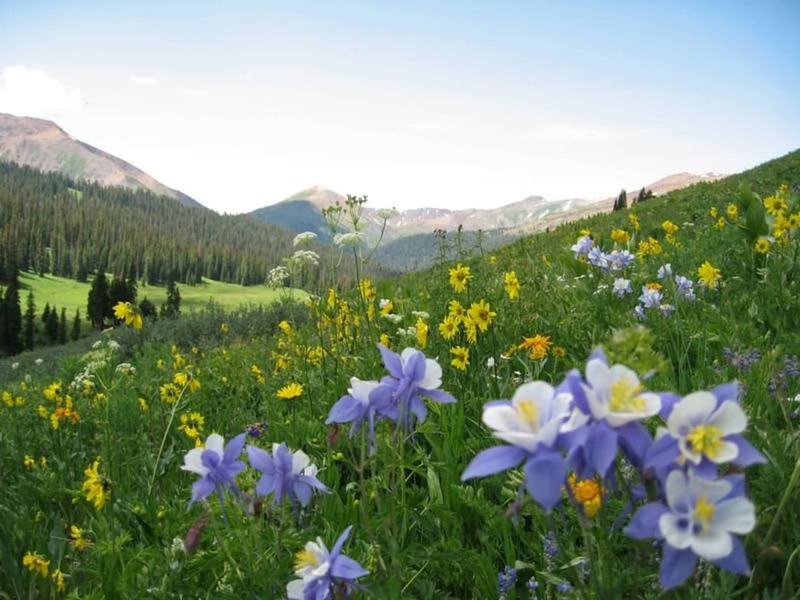 For more inspiration, check out our insider tips for the best wildflower hike in Colorado.